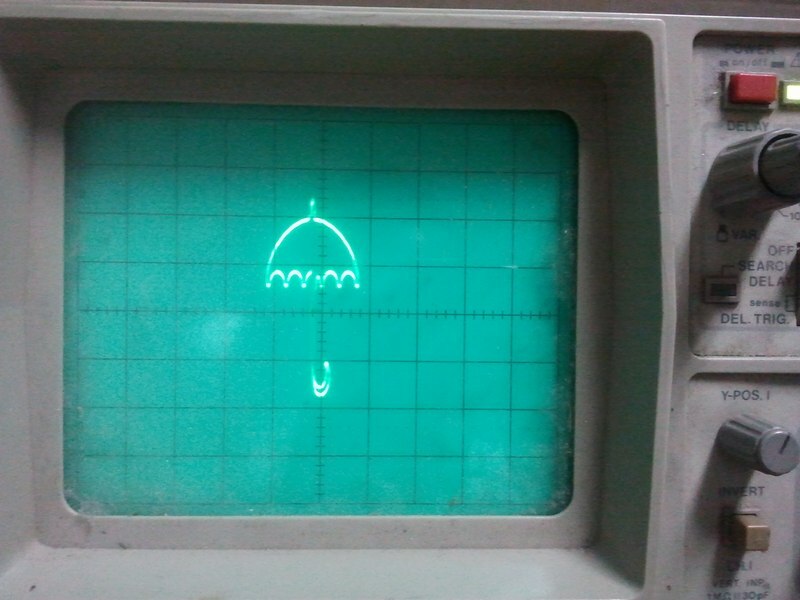 Have you ever seen someone making a drawing on an oscilloscope screen? Did you ever wanted to? Well, now you can. And, by "now", I'm not saying that you need to buy some hardware or mount some hacking device to create your drawing. "Now" is right now. 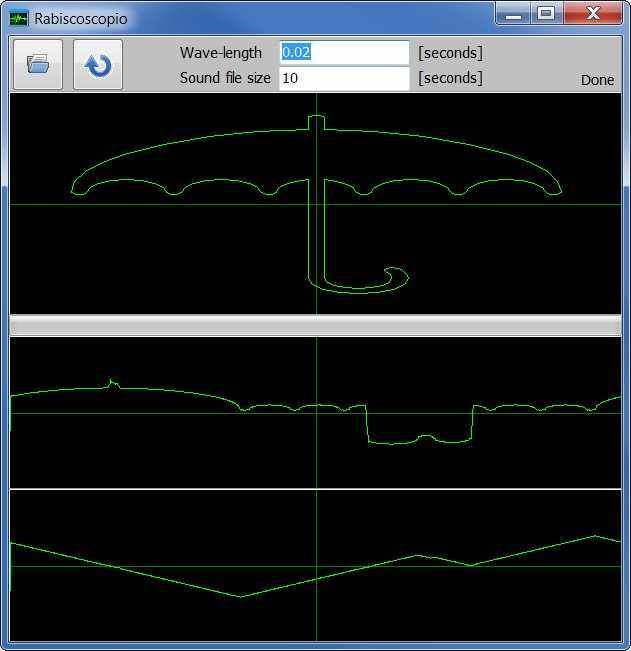 Let me introduce you to Rabiscoscopio: A simple and free software that convert your drawings into oscilloscope images. You know that an oscilloscope can turn audio into an image. So, if we turn an image into audio and feed the audio to the oscilloscope, we'll get the original image on screeb. Play this file using your computer, iPod or other sound device, connected to your oscilloscope set to XY mode. 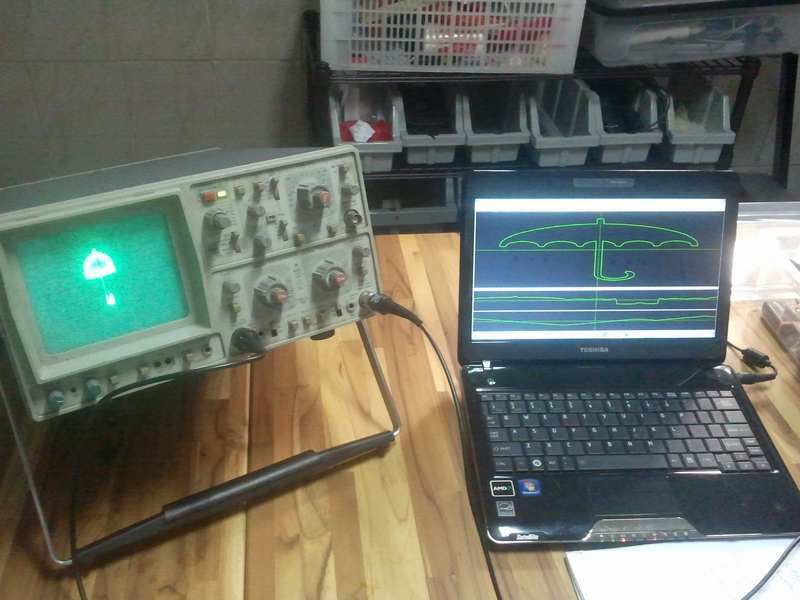 This is an oscilloscope generating the logo of Garoa Hackerspace, in São Paulo-Brazil (Where these images were taken). It was connected to a laptop playing the sound file generated by Rabiscoscopio. 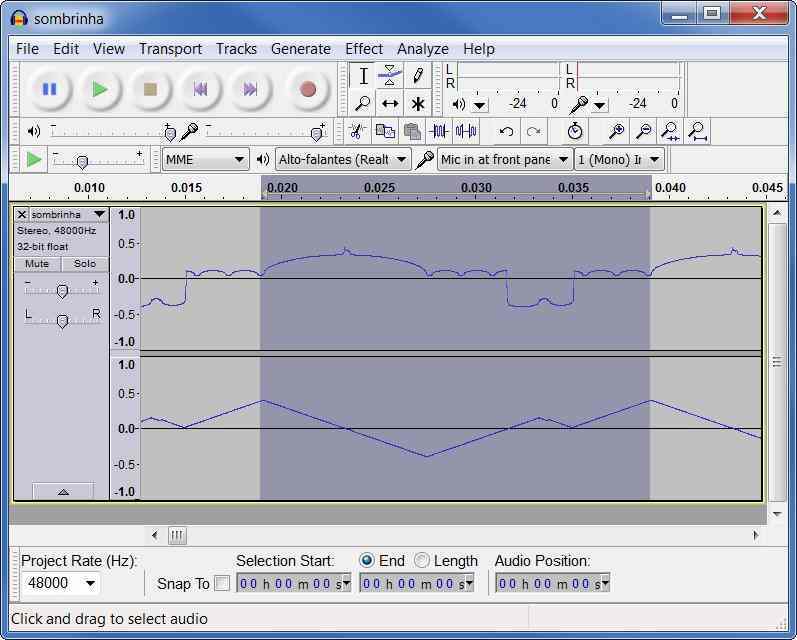 Soud file size: The duration, in seconds, of the generated sound file. Now you just need to play this sound on your computer, connecting two oscilloscope testpoints to your stereo sound output. If you can see the two waves, each one on an oscilloscope input signal, just press the XY button on oscilloscope and enjoy your image. If the oscilloscope starts showing a diagonal line, try hitting the XY button a few times until it syncs with the audio signal. It just supports straight lines. That means that you can't use curves/circles/splines/bezzier on the final drawing, yet. But you can use them on Inkscape and convert them to straight lines when you've finished your drawing. Just hit the button and then select the curve. Then you hit the 11th button on your toolbar, called "Make selected segment lines", and your curve will be converted into a series of connected lines. It only works on Windows, but the new version code is basaed on Qt, so it's portable. Feel free to try compiling it to another target.